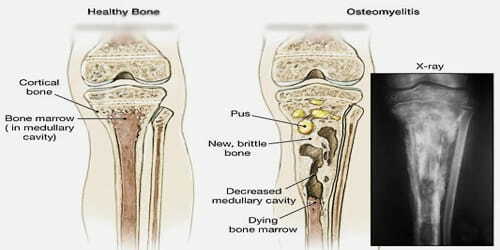 Definition: Osteomyelitis (OM), also called a bone infection, is an infection and inflammation of the bone or the bone marrow. It can happen if a bacterial or fungal infection enters the bone tissue from the bloodstream, due to injury or surgery. Symptoms may include pain in a specific bone with overlying redness, fever, and weakness. The long bones of the arms and legs are most commonly involved in children, while the feet, spine, and hips are most commonly involved in adults. Bone infections (osteomyelitis) can happen suddenly or develop over a long period of time. If they’re not properly treated, bone infections can leave a bone permanently damaged. 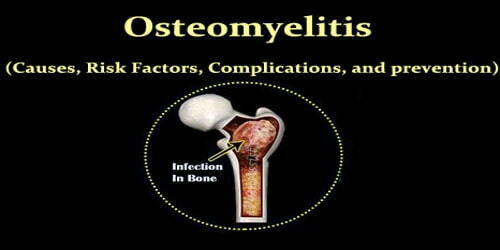 Causes and Risk factors of Osteomyelitis: Most cases of osteomyelitis are caused by staphylococcus bacteria, types of germs commonly found on the skin or in the nose of even healthy individuals. When an infection develops inside the bone, the immune system will try to kill it. Neutrophils, a type of white blood cell, will be sent to the source of the infection to kill the bacteria or fungus. If the infection takes hold and is not treated, dead neutrophils will accumulate inside the bone, forming an abscess, or pocket of pus. 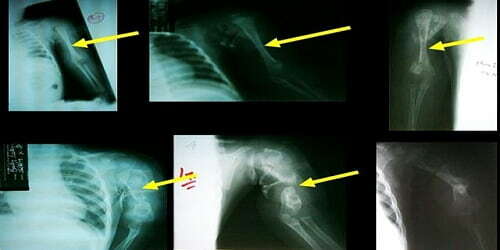 The most common cause of bone infections is S. aureus bacteria. These bacteria commonly appear on the skin but don’t always cause health problems. However, the bacteria can overpower an immune system that’s weakened by disease and illness. These bacteria can also cause infections in injured areas.